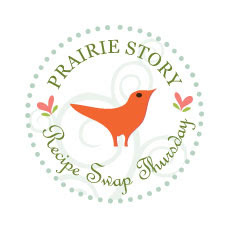 It's Prairie Story Recipe Swap Thursday! I hope every one is coping with all the crazy weather. Optimistically our Canadian groundhogs, Nova Scotia's Shubenacadie Sam and Ontario's Wiarton Willie, both predicted an early spring on Groundhog Day Wednesday. And Punxsutawney Phil, America's favorite groundhog, predicted an early spring too! My favorite recipe from last week's Recipe Swap Thursday was Banana Pudding Pie @ The Country Cook. Graham crust, bananas, pudding and whip cream...how can you go wrong?!? YUMMY!! 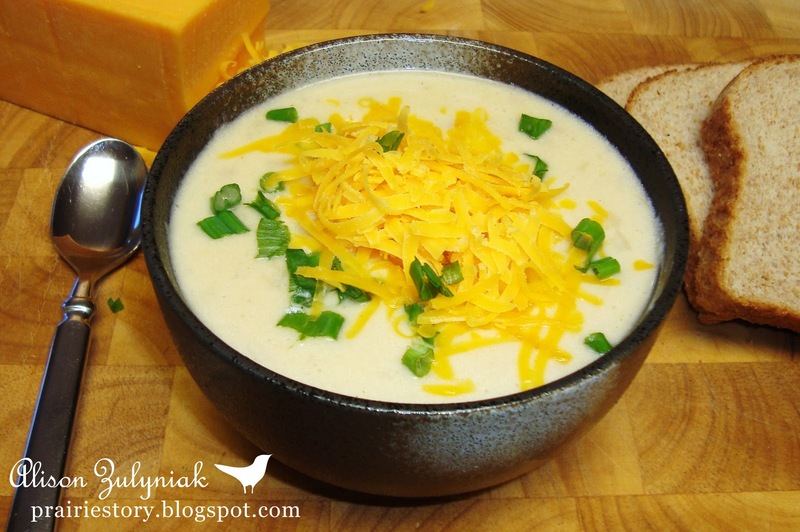 This week I'm sharing my Baked Potato Soup. It's the perfect soup for winter and Superbowl! In this cold weather your soup looks like just the dish. I brought my recent attempt at Mark Bittman's Lemon Cheese Cake with Sour Cream Topping. Thank you for hosting us and stay warm! Yum! I love Baked Potato Soup. I haven't made it yet this winter so this is a good reminder. Thanks for sharing your recipe and hosting this fun party. I love finding all sorts of new recipes. The Baked Potato soups sounds like the perfect soup to stay warm these days.Thank you for sharing it. 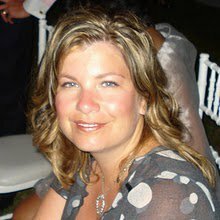 Thank you for hosting the linky again. Baked potato soup sounds fabulous right now! It's freezing outside! Thanks for hosting! Yum! I love baked potato soup and I haven't made it in ages. Thanks for the inspiration! Your soup looks delicious! And so perfect for a cold week like this! I love baked potato soup and yours looks delicious. Thanks for hosting!